For twelve years, the people of western NC welcomed Larry Blunt into their homes to deliver their nightly news and share inspiring stories of local “Persons of the Week” on Asheville’s News 13. Larry’s honesty, integrity, professionalism, and an ability to connect with people over his 30-plus years as a journalist earned him eight EMMYs and countless other awards, culminating in a Silver Circle Lifetime Achievement Award in 2015. Larry is excited to still come into homes, but now in real life as a fully licensed real estate broker. He looks forward to listening to his clients’ real estate needs and fostering meaningful relationships based on mutual trust and guided by a strong ethical compass. Through close, ongoing communication, The Larry Blunt Team will work to exceed your expectations of the buying and selling process. Originally from Oklahoma and a federally recognized member of the Cherokee Nation, Larry served four years in the U.S. Navy and has lived in seven states, developing a thorough appreciation for buying and selling homes, moving, relocating, and life transitions. Together, Larry and his wife Jan raised four children. 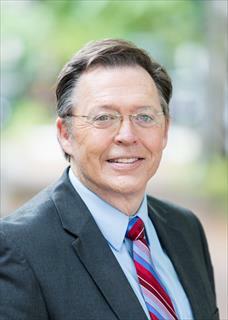 Jan, a marketing and public relations professional who served as Communications Director for Buncombe County Schools, joins him on The Larry Blunt Team. They look forward to using their combined skills and experience to obtain the best possible results for western NC natives and newcomers alike.